The Google app, once known as Google Now and Google Feed, attempts to cram as much information into one interface. It’s ambitious and it’s not new. Facebook does much the same. But, the idea behind such systems is rooted in our on-demand, digital world. 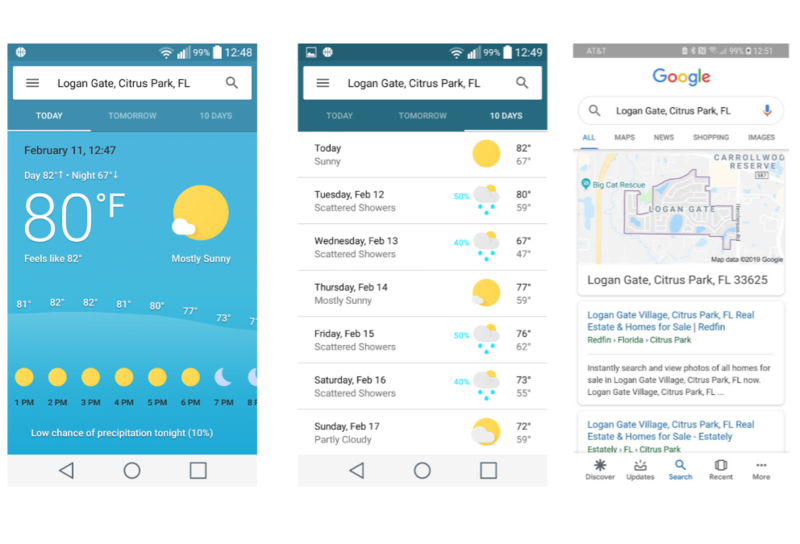 Enter the Google app weather section, which pulled data from Weather.com and placed it up against a colorful layout. Now, it seems the functionality is gone. The center screenshot shows what did appear after tapping on “10 Days.” Now, both have vanished, as shown in the right side screenshot. Web listings have replaced the weather section. Now, the weather shortcut still works, even on older devices running an older version of Android, or Android 7-Nougat. However, there’s no way to access the section without said shortcut. At this time, it’s unknown if this is just temporary or if it’s permanent. As always, Google routinely runs all sorts of tests and this is no exception.